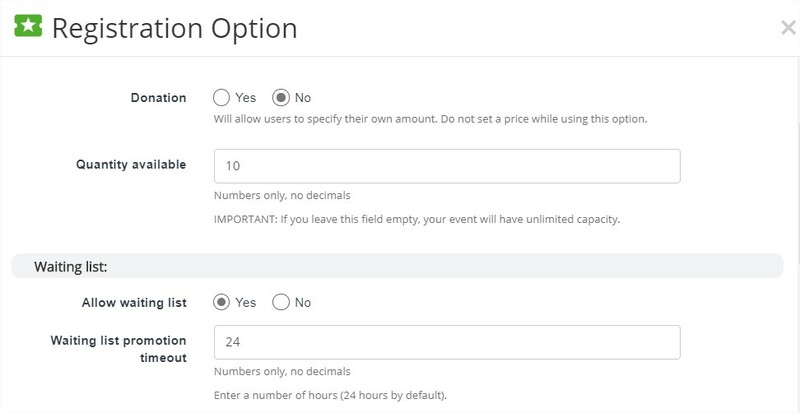 Complete the 'Quantity Available' field and set the 'Allow waiting list' field to 'Yes'. The waiting list will be automatically activated when the event capacity is reached. Once the waiting list is activated, it's not possible to deactivate it.